We love mask in our shop! Masking material provides a protective layer on the surface of material during cutting and engraving that helps prevent burn marks. Masking paper is pretty comparable to masking tape. 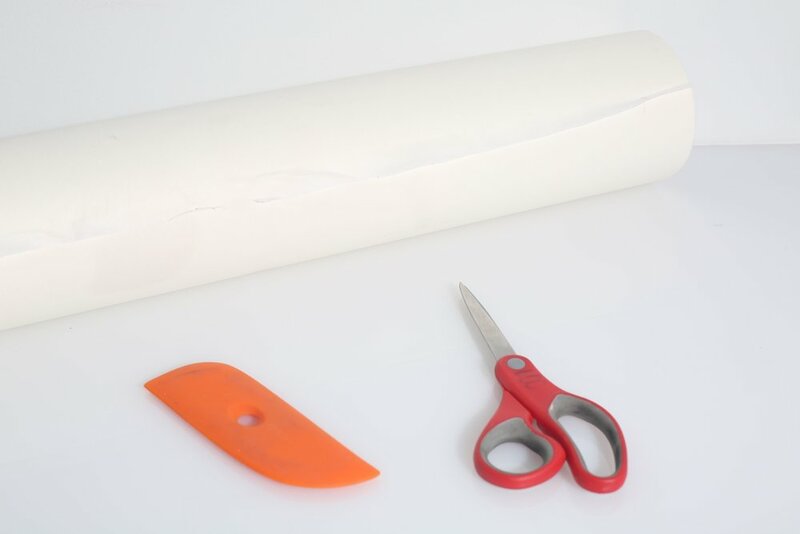 We use a low tack paper mask that can be easily removed and doesn’t leave a tacky residue. We use 24” mask that’s on a roll, which allows us to mask large surfaces fairly quickly. When we’re putting on the mask, we attempt to avoid having creases or air bubbles underneath the mask, as this can allow for burn marks. We use a rubber squeegee to press the mask firmly all over the surface. We typically mask wood, leather, mat board, and paper. 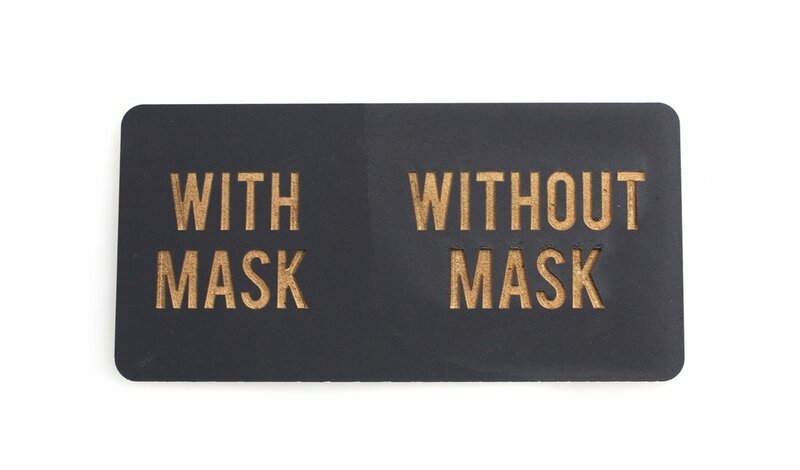 When we purchase acrylic, it arrives with a protective mask already on it. Sometimes it’s a paper mask and sometimes it’s a thin plastic mask. We typically try to get acrylic with the paper mask, as it’s much easier to remove. If material is left un-masked during cutting/engraving, there will be small burn marks around these areas. Sometime this is a wanted aesthetic, but most of the time, this halo effect is unwanted. Sometimes there are small areas where the mask wasn’t fully pressed down against the surface and there are slight burn marks in these areas. To solve this issue with wood, we’re able to gently sand the area down. To solve this issue with mat board, we’re able to clean the surface with a barely damp paper towel. For other materials, like acrylic, leather, or paper, there’s not a good way to reverse the burned effect. When you’re placing an order, we will confirm with you if we’ll remove the mask or if we will deliver your pieces with the mask on. For most acrylic pieces, we will deliver the pieces with the mask on to help protect the surfaces until you’re ready to install or use the piece. This is especially important with mirrored pieces, as the mirrored acrylic easily picks up finger prints. Also, some materials can be pretty time consuming to de-mask. 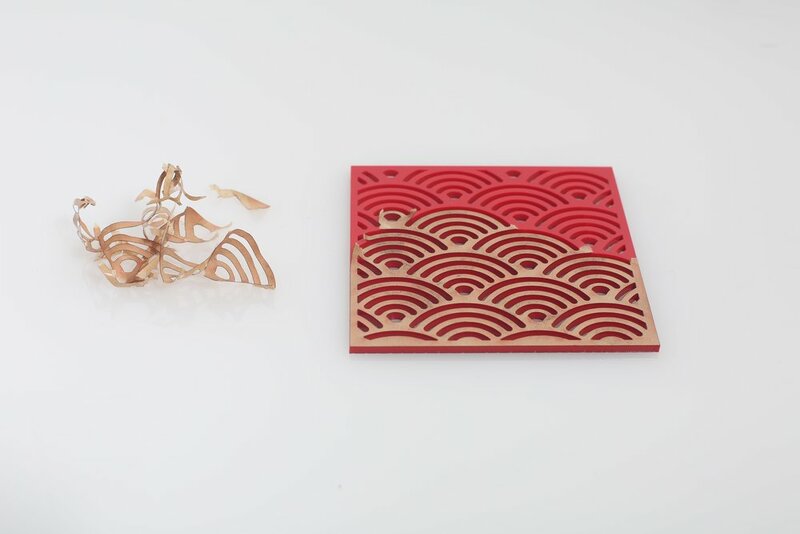 If your pieces have a complex engraved design, it might take a few minutes to de-mask per piece. For complex pieces, we’ll give you an estimate that includes cost if we remove the mask or if we deliver the pieces with the mask on.